Property 5: True Ski in/out 3 BR/3 Bath Seven Springs townhome for family/group of ten! Property 12: Stay here for YEAR ROUND family fun! Seven Springs Mountain Villas - Ski, Golf and Relax! 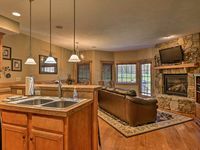 Property 16: Seven Springs Mountain Villas - Ski, Golf and Relax! 7 Springs Mt. Villas - Ski, Golf, Relax! Free shuttle to lodge, wifi included !! Property 19: 7 Springs Mt. Villas - Ski, Golf, Relax! Free shuttle to lodge, wifi included !! Spacious Seven Springs Townhome. Sleeps 10. Minutes from the slopes. Property 21: Spacious Seven Springs Townhome. Sleeps 10. Minutes from the slopes. 7 Springs Mt. Villas - Ski, Golf, Relax! Free Shuttle To Lodge, WiFi Included!! Property 22: 7 Springs Mt. Villas - Ski, Golf, Relax! Free Shuttle To Lodge, WiFi Included!! Cozy Southwind Seven Springs Home, Ski-In/Ski-Out! Property 26: Cozy Southwind Seven Springs Home, Ski-In/Ski-Out! 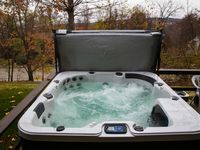 Property 28: TOWNHOME AT 7 SPRINGS IN WOODRIDGE, SLEEPS 8 WITH HOT TUB, AND PETS WELCOME! Awesome 7 Springs Townhouse - Sleeps 10. On Resort Premises. Wifi and More! Property 31: Awesome 7 Springs Townhouse - Sleeps 10. On Resort Premises. Wifi and More! We (5 adults) stayed in this unit Feb 1-4, 2019. Very comfortable unit. The owner quickly responded to any questions/issues (all minor) that we had. The Southwind trail was just out the back door which made for easy access to the slopes. We would rent this unit again.